The Big Picture: Camping in the summer is always relaxing because we don’t have to worry about being cold at night or if it rains. 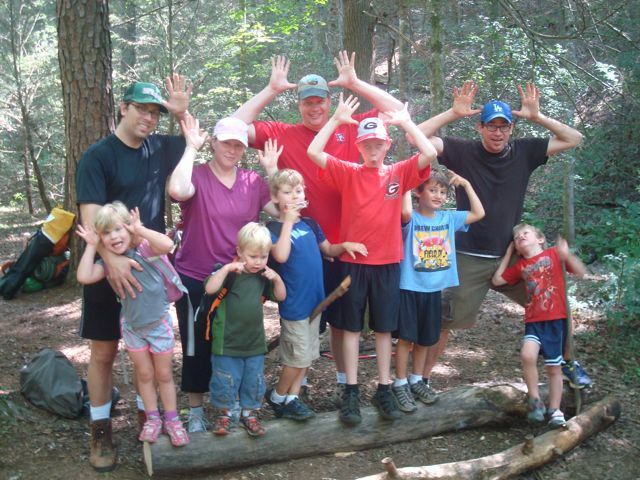 This July, we took three families on a 2-day camping trip to the Chattooga River Trail. The weather was perfect, the water was cool, and a good time was had by all. 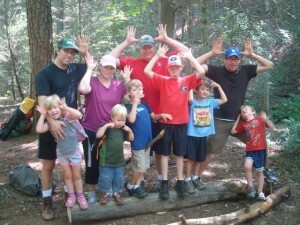 came along – and it was a real joy to watch the parents show their children the reasons they love nature. Fire-by-Friction: Our teen participant was very excited about creating fire-by-friction. 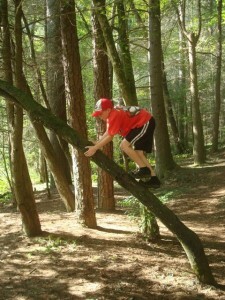 Since both of the guides on this trip have experience with this primitive skill, I was very confident we’d succeed. Both Sarah and I worked with the bow drill with this young man, but we were thwarted by the humidity (and probably our technique). But the great thing about fire-by-friction is that even when you don’t succeed, the process is still exciting and fun. Sandy Ford: We camp relatively close to Sandy Ford – an old crossing point on the Chattooga River – and if you spend any time along the river, you know why. The river churns rocks into sand and creates beaches along its banks. One of these beaches is very close to our campsite, so on our hot July weekend, we spent a whole afternoon swimming and playing in the sand. 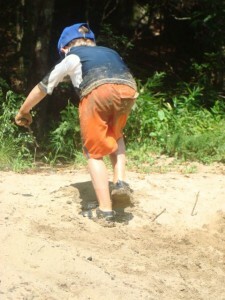 The adults swam to South Carolina (across the river) and the kids covered themselves with sand. It’s amazing to see how quickly young children can get incredibly dirty when they are in the sand. 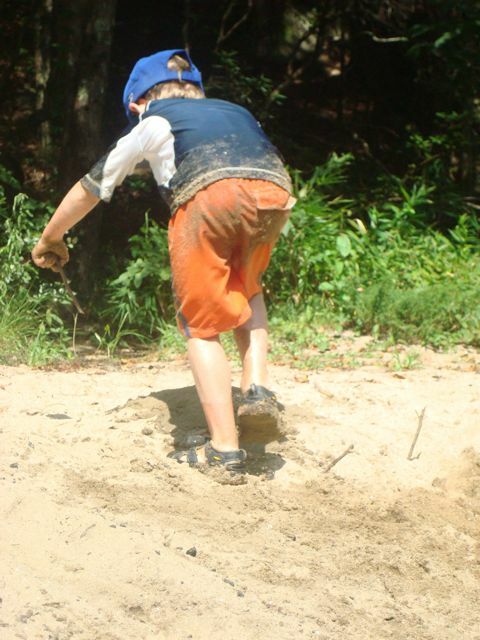 It makes me wonder if our gear gets more sandy after a trip to Cumberland Island or after a visit to the Chattooga River!